Now is a good a time as any to consider the positive impact of using video in order to augment engagement on blog posts, allowing you to take your business’ blog to a higher level. There are numerous methods in which to incorporate video into your marketing campaigns. One method is video content, seen far and wide, with a huge demand from customers of various brands and businesses. How do they read your blog/insight posts? Do they read it word for word? Do they scan and skim through? What’s the average amount of time a reader spends on each blog post? Living in a digital world with severely shortened attention spans, 15 seconds is the rough estimate of the time span it takes to capture a reader’s attention. A large portion of the time, readers are merely scanning your webpage, whereas only 20% of the content is truly being absorbed. The ideal blog post, as highlighted by Medium, is roughly 7 minutes long, equivalent to 1600 words. In order to surpass this truth, and achieve our goal, it’s vital to apply visual content such as videos to assist in breaking up the text on blog posts. Cutting down on text, concision, and application of visuals all help to attract readers as all readers who gloss over text, are likely to stop for the images. According to Oracle, 105% of users spent more time with videos on webpages and also double the number of overall conversions compared with webpages without video. Readers tend to feel more inclined to stay on your page when approaching the video. It’s more likely that they’ll engage more because the video stands out within the text and catches there attention with all the content in the blog. Millennials, a notoriously tech-savvy generation, are the main audience to absorb online content as 90% of them connect daily. This works as a vital audience to bear in mind when it comes to applying videos in order to augment engagement in blog posts. Millennials are known to view as opposed to read, and videos function as a major driving force behind millennial consumer behaviour as purchasing decisions often directly result from Millenials watching video content. How To Use Videos In Your Blog Post To Increase Engagement? There are several ways you can use video content to increase engagement within your blogs. Videos need to be concise and address the point directly, in order to heighten engagement with blog posts. Short and compact videos garner the most engagement. 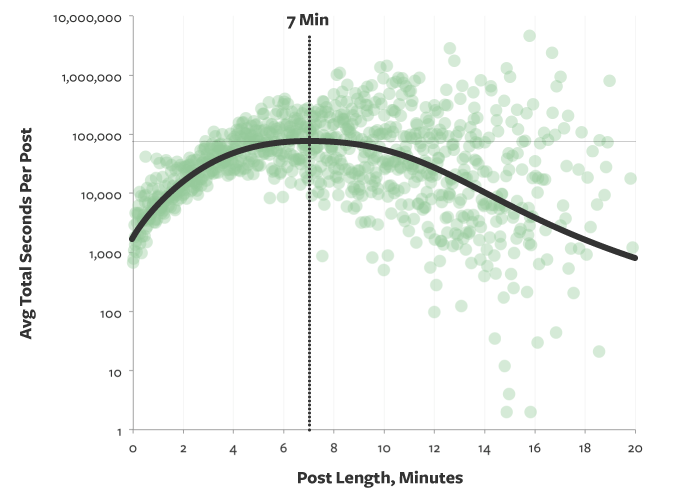 Most engagement seen occurs when videos are around 2 minutes long, according to HubSpot. Though you may be curious as to how to fit in all the information you want to in a short 2-minute span, it’s worth remembering you need not be exploring in-depth all aspects of the topic you’re discussing in the post. Video application is simply meant to complement all matters being addressed, not necessarily cover all elements in their entirety. In terms of video hosting, you can host on YouTube or on your own website. Cheryl Baldwin from the WSI network recommends hosting videos on YouTube first then implementing them into your blog post. To help with engagement, YouTube provides a selection of SEO & analytics tools for its users. Using blogging platforms such as WordPress, Blogger, etc make embedding videos into your blog posts very easy. All you need to do is go into your platforms backend, choose the media file, attach the media file and paste the image URL into your post and Bingo! When applied correctly the potential of traffic and customers that YouTube could bring in can range from hundreds – millions for your business. Inserting YouTube videos into your blogs can help reinforce your general SEO and help your business rank higher when users are seeking content. For those with existing YouTube channels, an excellent method to heightening engagement with blog posts is repurposing videos. However, it is always worth remembering that the embedded video is relevant to the topic of the blog post. The most effective method to maximize video content is to ensure you couple it with other marketing efforts. When executed efficiently, video content can be utilized to augment engagement in blog posts, and subsequently enhance how your readers interact and engage with your content.